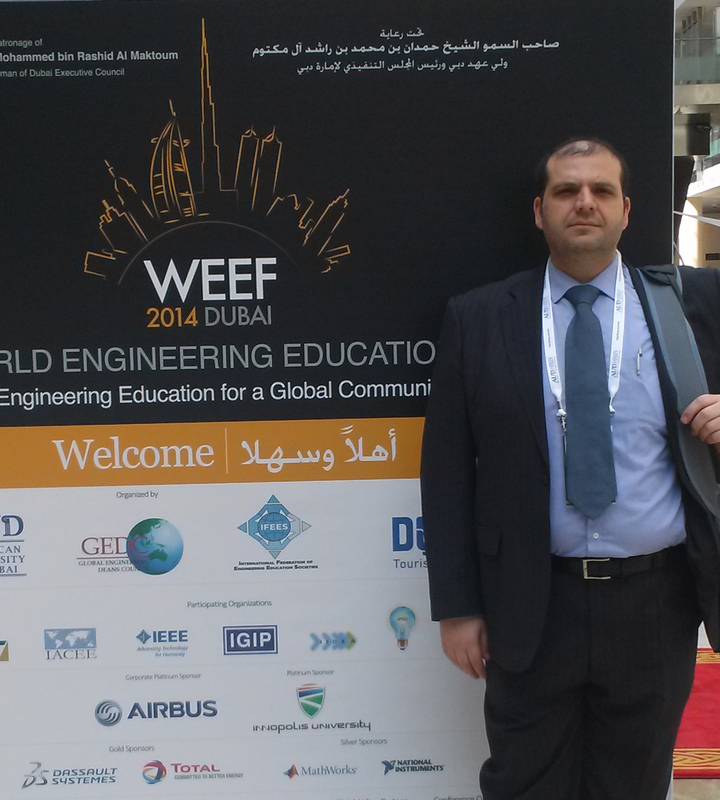 The dean of school of engineering, Dr. Amin Haj-Ali, attended the World Engineering Education Forum (WEEF2014) held in Dubai, U.A.E. The forum main objective is to bring academicians, engineering practitioners, and engineering decision makers to share the issues, current trends and future outlook for engineering education. The forum included many keynote speeches, workshops and special session for Middle East and North Africa Assembly.